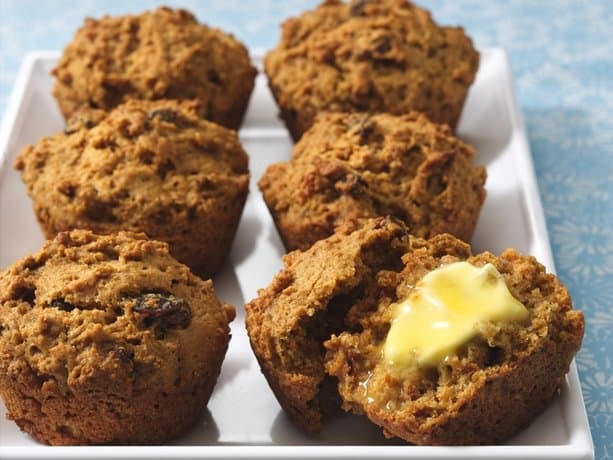 Bran Muffins - Cindy Cooks! Not your typical dry bran muffin. Yum!! In large bowl, combine cereal, sugar, baking soda, salt and flour. In another bowl, combine eggs, butter and buttermilk and mix well. Add liquid ingredients to dry ingredients and mix just until blended. Preheat oven to 350. Fill muffin cups one-half to two-thirds full. Bake 18 to 20 minutes or until toothpick inserted into center comes out clean.